A study published today in the New England Journal of Medicine shows that even in people without diabetes, above normal blood sugar is associated with an increased risk of developing dementia. 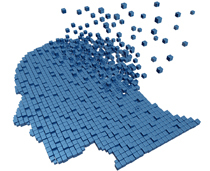 This finding goes beyond previously seen links between diabetes and dementia. “It establishes for the first time, convincingly, that there is a link between dementia and elevated blood sugars in the non-diabetic range,” says study author Dr. David Nathan, a Harvard Medical School professor and the director of the Diabetes Center and Clinical Research Center at Massachusetts General Hospital. A diabetes patient and practicing physician, I might have stumbled upon a finding, which, if correct, has the potential for a solid impact on obesity, diabetes and many other chronic conditions including, now, dementia. None of my colleagues I have sounded out has found a hole in the reasoning presented below. I have been controlling my blood glucose using this new approach for year and a half now. Although elements of this method have been well documented over the last 3 decades, the key element seems to have eluded patients and doctors until now. All I did was to connect a few dots of physiological facts. 1. Glucose, the product of the digestion of food in the stomach, begins to reach the blood stream 15 – 20 minutes after the first bite into a typical meal. Thirty minutes after the first bite, the process is in full swing. 2. If glucose is available in the blood stream when physical activity is required of the human body, it will readily utilize the blood glucose to fuel the activity. 3. Every glucose molecule utilized in this manner is one less available to contribute toward the glucose peak. The smaller the glucose peak the closer it is to the healthy response. My Father have this problems, thanks for the information. Blood sugar elevated is a no good sign at all. I find it interesting because my father who recently died, at 91, was very cogent until the last year, and pretty cogent until the last 3-6 months. He kept having teeth pulled, harder to eat, and very little taste remained and he was losing weight. He could taste strong SWEET, and so liked chocolate, ice cream, desserts and soda. He hadn’t been this kind of an eater his whole life, but it was almost all that tasted good at the end. We gave him what he wanted for quality of life issues as well as just trying to get some calories into him. Interesting if elevated BS was the result and contributed to his mental changes. May not have done it differently….don’t feel guilty, but good to know we can work at keeping ourselves nourihed as we age in other ways. Alzheimer’s disease is a rare disease there is no cure .. It is important to note that the study cited was limited to older adults (average age 76 yrs) and cannot be generalized to younger people. Despite this limitation there is other science suggesting some mechanism between glucose, insulin, inflammation have an impact on increasing risk for developing dementia in younger aged people with and without diabetes. I also have a similar problem to this. Thanks so much for the article, it’s very informative and useful. Here is the link between high blood sugars & dementia. Second last paragraph is the important one, but should go further though. I follow the paleo lifestyle and all grains, wheats, are just as bad as they turn into refined sugars, but also have other effects on our whole digestive tract amongst other things. It all comes down to inflammation, reduce inflammation and reduce disease. To remain healthy and free from any type of medical health problem it is very important to maintain and control our sugar level by adopting proper daily food diet and some precautions.